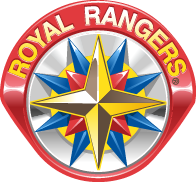 Royal Rangers is a boy's ministry design to reach, teach and keep boys for Christ. It is a camping based program with various activities for boys of all ages. "A man never stands so tall as when he stoops to help a boy"